Q2 contains our most advanced technology and does everything a Barista could wish for. 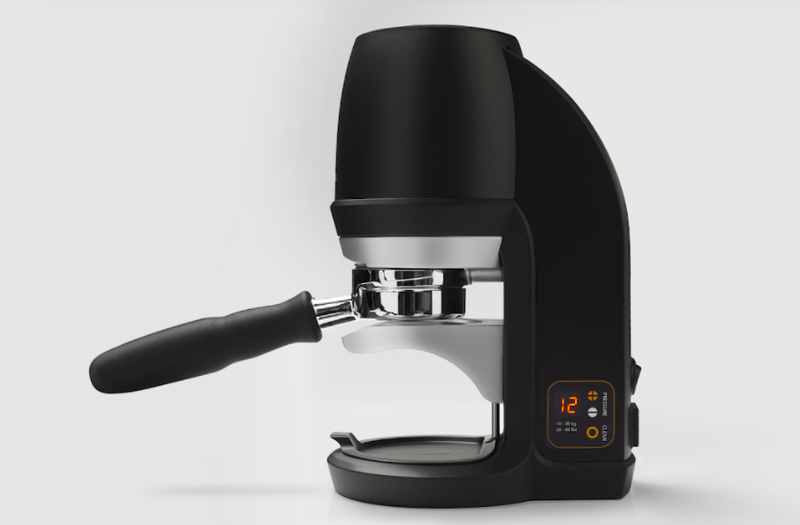 The best thing, it offers a "Precision Tamp" setting, that causes zero suction and allows baristas to use a bigger diameter tamper base to optimize extraction. Second, it's tamp is even more level and it needs less cleaning on the job than before. It has the same small foot print as Q1 but comes in Matt Black or Matt White. + Precision tamp cycle so there is zero suction and baristas can use bigger tamper bases. + Nano non-stick tamp head reduces coffee build up. + New advanced stiffer frame provides further precision and life span. + New easy adjustment wheel simplifies correct setup. + The new updated design now works perfectly with naked portafilters. Q2 has been assisting professional Baristas since 2015. During busy hours or the WBC, Puq delivers a flat tamp 100 out of 100 times. "It tamps incredibly even with the same pressure all day long. A wonderful tool for us as Baristas."